You won't be disappointed with this Ninja - Nutri Ninja 72 Oz. 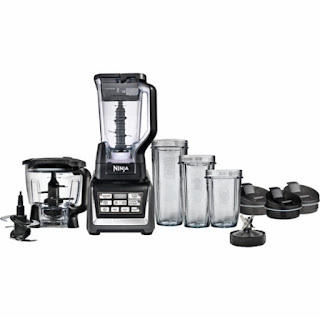 Blender System with Auto-iQ - Black $124.99 (Retail $249.99). Choose this Nutri Ninja blending system to take care of all of your processing needs. It comes with single-serve vessels, a traditional blender pitcher and food processor container so you can blend, mince and chop just about anything in the kitchen. This Nutri Ninja blending system comes with Auto-IQ technology that delivers consistent results. NOTE: I paid over $200 for mine - these are AMAZING and the BEST price I've seen!